Sometimes wonderful accidents happen! 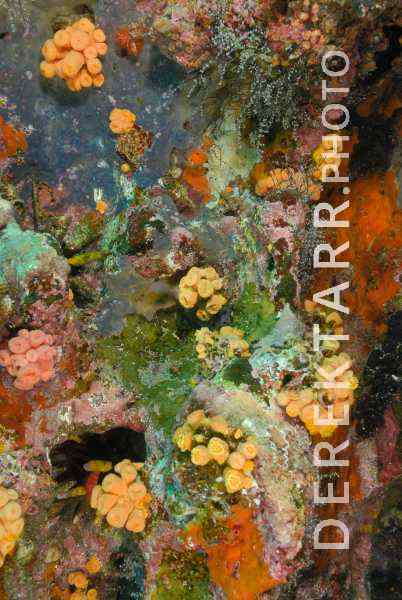 I was setting up my camera to shoot a skittish small fish and wanted to get a test shot to make sure the exposure was perfect, so I moved a bit to the right and shot a picture of the reef wall that I was next to. 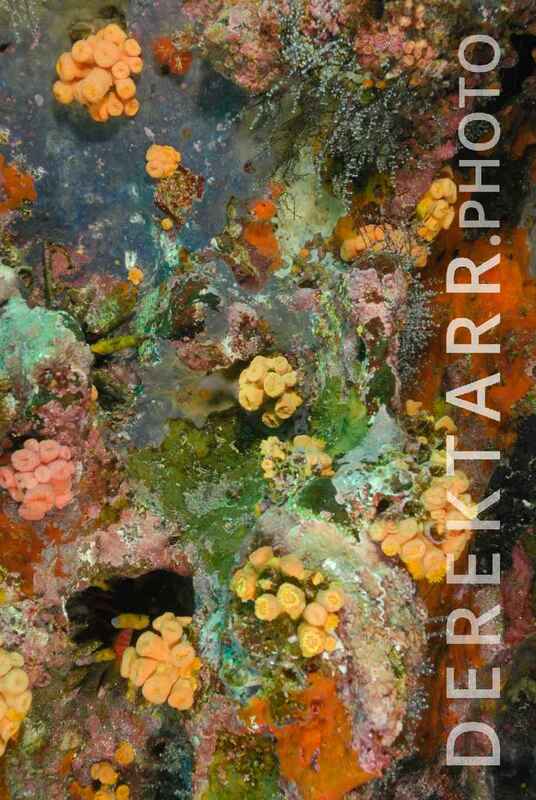 I reviewed the image and was stunned to see the amazing shot that I had captured of the multi-colored anemones, sponges and other invertebrates on the wall. I never did get the shot of the fish. Photographed in the Galapagos Islands in Ecuador.